At Colorado Law, we believe that American Indians deserve the very best lawyers and that we have an obligation to train them. Our American Indian Law Program faculty, including the nation’s top scholars and practitioners in the field, offers a full slate of introductory and advanced classes in the field to prepare students for all aspects of Indian law practice, and we now have dozens of successful alumni practicing Indian law in tribal government, federal agencies, and at law firms. Colorado Law graduates are equally prepared to work on impact litigation, economic development, policy advocacy, individual legal services, and tribal governance in Indian law. Our American Indian Law Program also appeals to many students with broader practice interests in natural resources, public lands, property, museum and art law, technology, entrepreneurship, family law, and beyond. Indeed, because American Indian law raises questions regarding the rule of law and legal pluralism, the contours of sovereignty and governance, cross-cultural representation and minority rights, and interdisciplinary study and practice, it offers important intellectual development opportunities for all Colorado Law students. Drawing from the legacy of some of our earliest alumni, including the famous legal advocate and intellectual Vine Deloria ’70, and our relationship with the Native American Rights Fund, founded by the late Dean David Getches, our approach to American Indian law is deeply grounded in Indian Country. The American Indian Law Program at Colorado Law provides students with opportunities to gain practical experience and serve Indian people and tribes through the American Indian Law Clinic; externships at NARF, the Ute tribes, and Denver Indian Center; and clerkship opportunities at law firms and tribal courts. In conjunction with the Colorado Indian Bar Association and other sponsors, we have a new annual Speaker Series and Conference, allowing Colorado Law to serve as the region’s convening institution for tribal leaders, advocates, scholars and community members to address the most pressing challenges in Indian law and policy. What distinguishes Colorado Law from other law schools is our unparalleled history and commitment to American Indian law, our top notch-faculty of five full-time professors in the field, and our relationships with tribes and tribal organizations, all of which provide students with a comprehensive, supportive, and rigorous academic experience. Students enjoy a very close relationship with our American Indian Law faculty who mentor students through research and scholarship opportunities, pro bono work, and a fellowship with the American Indian Law Program. Our Native American Law Students Association (NALSA) is extremely active, with recent top finishes at the National NALSA Moot Court Competition, an annual Fall Harvest Feast, and other educational and social events throughout the year. In all of these ways, American Indian Law is thriving at Colorado Law. We hope you will join us! Colorado Law's full-time faculty are nationally recognized experts in American Indian Law. Clockwise: Professor Kristen Carpenter, Professor Richard Collins, Dean S. James Anaya, Professor Charles Wilkinson, Professor Carla Fredericks, and Professor Sarah Krakoff. Professor Kristen Carpenter is Council Tree Professor of Law and Director of the American Indian Law Program. Professor Carpenter writes in the areas of American Indian Law, Property Law, Religion, and Human Rights and her articles have been published in the Yale Law Journal, California Law Review, UCLA Law Review, American Indian Law Review and others. Professor Carpenter is also active in pro bono work with tribes, including federal appellate cases on sacred sites, peyote, and child welfare matters. At Colorado Law, Professor Carpenter teaches courses in Property, Cultural Property, American Indian Law, and Indigenous Peoples in International Law and is the Faculty Advisor to the Native American Law Students Association. She is also the co-founder of the CU Native American Research Faculty group, a university-wide, interdisciplinary effort that promotes indigenous studies and outreach to Native communities. Professor Richard Collins teaches American Indian law courses and seminars as well as basic courses in property and constitutional law. After clerking for a U.S. Circuit judge, he represented American Indians and tribes while working for California Indian Legal Services, Dinebeiina Naihiilna Be Agaditahe (Navajo Legal Services), and the Native American Rights Fund. His work included several cases before the U.S. Supreme Court, including McClanahan v. Arizona Tax Commission. Professor Carla Fredericks is Director of the American Indian Law Clinic and Director of the First Peoples Investment Engagement Program, a program with the University of Colorado Leeds School of Business. She is a graduate of the University of Colorado and Columbia Law School. Fredericks is also of counsel to Fredericks, Peebles and Morgan LLP, where she focuses on complex and appellate litigation and Native American affairs, representing Indian tribes and organizations in a variety of litigation and policy matters. She is chair of the Board of Trustees for the Mashantucket Pequot (Western) Endowment Trust. Fredericks began teaching at Columbia Law School in New York, teaching Columbia's Legal Practice seminar, focused on development of research, writing and appellate advocacy skills and working with Columbia's National NALSA moot court competition team. She is an enrolled member of the Mandan Hidatsa, and Arikara Nation. Professor Sarah Krakoff is a prior Director of the American Indian Law Clinic and teaches American Indian Law, American Indian Law Seminar, and Civil Procedure. She is also current Chair of the Getches Wilkinson Center's Board of Directors. She has published several articles on American Indian law and natural resource issues. After clerking for a U.S. Circuit Court of Appeals judge, she worked as the Youth Law Project Director for DNA-People's Legal Services on the Navajo Nation. Professor Charles Wilkinson is considered the leading expert on American West law, history, and society. He is the author of 12 books including Federal Indian Law, the standard law texts on federal public land law and books written for a broader audience. He teaches American Indian and Natural Resources Law. He practiced law with the Native American Rights Fund and has advised the Departments of Interior, Agriculture, and Justice. Colorado Law offers an American Indian Law Certificate demonstrating the completion of a concentrated course of study in the legal issues facing Native peoples and American Indian tribes. This Certificate is attractive to legal, tribal, and governmental employers, as well as employers seeking to do business with tribes and tribal members. Certificate requirements include: (1) at least 92 credit hours (89 is required for the J.D. ), and (2) at least 18 of the 92 credit hours in designated Indian law and related courses. Visit Rules of the Law School for complete details. Note: We strongly encourage submitting this form when you register for your second year. It helps both you and us to plan for your successful completion of the program. However, you can still receive the Certificate if you submit this form late but complete the required coursework. (3) By March 15 (or November 1) of your graduation semester, confirm that you will earn the Certificate by re-submitting the form with updated information. Other classes that may be approved by the AILP Directors and the Associate Dean for Academic Affairs. The American Indian Law Clinic, established in 1992 as one of the first of its kind, provides quality legal representation to low-income clients with specific Indian law related problems. Many in the Denver region have limited access to legal assistance and that access is further restricted when the issue involves Indian law. They have nowhere to turn when certain rights, some guaranteed by treaty, are denied. The Clinic’s student attorneys provide hundreds of hours of pro bono legal work to assist these people with direct legal assistance when possible, or by acting as a referral source when unable to help directly. 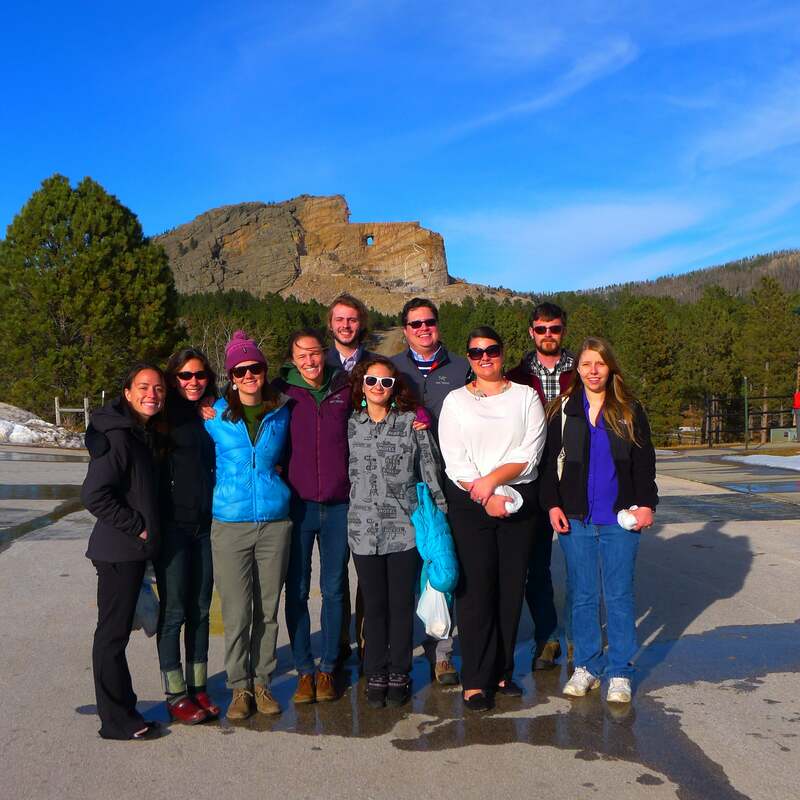 During this yearlong course, students receive classroom instruction and hands-on experience regarding Indian law issues, focused primarily on Colorado cases and projects that have a uniquely Indian law dimension. “Uniquely Indian law” issues are addressed by that body of law that concerns the status of Indian tribes and regulates the legal relationship between them, the federal government, the states and their citizens—commonly known as federal Indian law. All cases accepted and projects undertaken by the Clinic involve issues of federal Indian law or the law of a particular tribe. Student attorneys handle cases under the supervision of a licensed attorney, the American Indian Law Clinic Director. Colorado Law students provide valuable legal advocacy research, writing, and education to individuals, the tribal courts, and tribal communities. Cases generally not handled by the Clinic: criminal (including post-conviction review), traffic citations, those that would provide a fee to a private attorney (such as personal injury or workers' compensation claims), and non-Indian or non-tribal law issues. A training for the Northern Cheyenne Tribe on how to improve the outcome of child welfare cases in Colorado courts involving tribal member children. Family Preservation Project: Under its Family Preservation Project, the American Indian Law Clinic works with the Denver Indian Family Resource Center to help maintain and strengthen the Indian family unit in the Denver metropolitan area. The Clinic delivers legal assistance to Indian individuals on family law, employment, and civil rights issues. The Clinic is especially active and successful in ensuring compliance with the federal Indian Child Welfare Act, which among other things, helps ensure that Indian children are placed with extended family members or with other Indian families. To be added to our mailing list, please contact us. The Native American Law Students Association (NALSA) of CU is a student association of Native American law students as well as non-Native law students interested in Federal Indian Law and Native issues in general. 3. To organize activities that will enrich the law school experience and assist NALSA members in their career development. Law students can get involved with NALSA by attending monthly membership meetings and joining NALSA's TWEN site on Westlaw. NALSA officers coordinate events to promote awareness of American Indian issues at the lawschool as well as in the United States. NALSA officers also fundraise for those events and act as NALSA representatives at law school and non-law school functions. NALSA members may form committees to fundraise, organize events and compete in National NALSA Moot Court as well as attend the annual Federal Bar Association's Indian Law Conference. On the NALSA TWEN site, students will find organizational information about NALSA, upcoming events, opportunities (moot court and writing competitions, fellowships, scholarships, externships, clerkships, jobs, etc.) and member contributions as to current Native issues. There are also sign-up sheets for event volunteers, surveys and e-mail access to the NALSA membership. Every year in September, NALSA hosts a social for the incoming students to meet the current NALSA membership. In early November, NALSA also sponsors the Fall Harvest Feast, a Native American community potluck for law students, members of the Colorado Indian Bar Association (CIBA) and Native American community members. NALSA has also participated in National NALSA Moot Court, the Federal Bar Association's Indian Law Conference, the Denver March Pow Wow, and the annual CIBA Red Rock Ramble fundraiser. In 2009, CU NALSA co-hosted the 17th Annual National NALSA Moot Court Competition with the University of Denver NALSA Chapter (the event was held at the Wolf Law Building). Students serve as externs with local Indian law firms, non-profit entities serving the Native American community such as the Native American Rights Fund and Intertribal Council on Utility Policy, government agencies such as the U.S. Environmental Protection Agency Tribal Programs, and the Southern Ute Tribal Court and Ute Mountain Tribe. Students also work under the guidance of Colorado Law faculty on American Indian and tribal law research issues while providing much-needed legal work to those most in need. The Colorado Indian Bar Association vigorously raises funds to provide scholarships to individuals studying American Indian law at Colorado Law. The American Indian Graduate Center posts fellowship opportunities for law students. Each year the American Indian Law Program appoints a student or recent graduate as the AILP Fellow to work on program administration, student recruiting, events, research, and pro bono projects in American Indian law. For more information about AILP's 2019 Conference: Implementing the UN Declaration on the Rights of Indigenous Peoples in the United States, please go to the "2019 Conference" tab. The University of Colorado Law School and Native American Rights Fund will host this conference as the initial program of the "Project to Implement the U.N. Declaration on the Rights of Indigenous Peoples in the United States." The conference will gather practitioners, scholars, and advocates to discuss how to advance the promises of the Declaration and develop a strategy for its implementation in the United States, toward the true flourishing of indigenous peoples, healing, and justice for all. Join us for high-level discussions on challenges in Federal Indian Law and the role of international human rights in advocacy efforts, plus workshops on issues of tribal self-governance, land rights and sacred sites, climate change, business and entrepreneurship, Indian child welfare, technology and telecommunications, and a special feature on the UN's 2019 Year of Indigenous Languages. Follow us on Facebook , Twitter and on Instagram at @AILPCULaw! "Implementing the U.N. Declaration on the Rights of Indigenous Peoples in the United States"
"Celebrating the Tenth Anniversary of the Adoption of the United Nations Declaration on the Rights of Indigenous Peoples"
The University of Colorado Law School and the United Nations Permanent Forum on Indigenous Issues hosted a dynamic event to Celebrate the Tenth Anniversary of the Adoption of the United Nations Declaration on the Rights of Indigenous Peoples. The two-day event reflected on the advocacy that resulted in the passage of the Declaration, discussed the present-day usage of the Declaration, implementation, and the future. "Celebrating 45 Years of NARF: Respecting Our Past, Building the Future"
"The Modern Practice of Federal Indian Law: Operating in and From Tribal Spaces"
"Tribal Sovereign Immunity after Bay Mills"
"Free Informed Prior Consent Conference"
"People of the Shining Mountains: Legal Past, Present, and Future of the Ute Tribes"
"Reconciliation in the U.S. In Light of the U.N. Declaration on the Rights of Indigenous Peoples"
In 2007, following decades of advocacy by indigenous peoples, the UN General Assembly adopted the Declaration, acknowledging indigenous peoples’ rights to self-determination, equality, property, culture, and other human rights. The United States, along with Canada, New Zealand, and Australia, have pledged their support for the Declaration, and 148 nations worldwide now accept a set of agreed-upon norms for the just treatment of indigenous peoples. The Declaration provides an impetus to redress historic wrongs committed against indigenous peoples and advance the arc of justice. The Declaration sets forth a remedial scheme to address the legacy of land dispossession, physical violence, cultural disruption, economic deprivation, and other harms experienced by indigenous peoples during the experiences of conquest, colonization, and settlement. It will take comprehensive law and policy reform, as well as structural and conceptual change, to begin the process of redress and reconciliation for indigenous peoples in domestic legal systems. On March 15-16, 2019, the University of Colorado Law School and Native American Rights Fund will host a conference to advance the promises of the UN Declaration on the Rights of Indigenous Peoples and develop a strategy for its implementation in the United States. We envision this event as a transformative gathering of critical thinkers and committed advocates, toward the true flourishing of indigenous peoples, healing, and justice for all. Join us for high level discussions on challenges in Federal Indian Law and the role of international human rights in advocacy efforts, workshops on cultural rights, climate change and environmental advocacy, business and entrepreneurship, Indian child welfare, technology and communications, and a special feature on the UN’s 2019 International Year of Indigenous Languages. Read more about the joint Colorado Law and NARF Project to Implement the UN Declaration on the Rights of Indigenous Peoples in the United States, HERE. DONATE HERE: Help cover travel costs for Tribal leaders and participants from indigenous communities! *CLE Colorado credits are available only for the following participant categories: Government, Private Sector / Law Firm, CU Alumni, and Non-profit. Parking is limited on campus and generally restricted. Permits are required for Lot 470 and lot 402 five days a week from 7:30 a.m. - 5:00 p.m. There is metered parking available along the south side of Kittredge Loop Road (Lot 415) immediately after the roundabout in front of the Fleming Building. If Lot 415 is full, use Lot 406 or Lot 306. For maps, please click here. Friday: Metered parking on Lot 415. You can also use Lot 406 or Lot 306. Saturday: Parking is free in lot 470 and 402. Boulder offers many wonderful lodging options for participants. Below please see information for two hotels that have offered a special rate for conference attendees. Phone Code: call 800-233-8469 and reference code “AILP @ CU LAW "
Group Rate: $129 for a room with one king bed. Location: 2115 13th St. Boulder, CO 80302. No refunds will be made for cancellations received after the close of business on Friday, March 8, 2019. If a refund applies, only 95% of registration fee will be refunded to cover processing costs. Substitutions may be made at any time upon notification. Please contact Edyael Casaperalta at edyael.casaperalta@colorado.edu with cancellation or substitution requests.